The agenda for the Policy & Resources Committee on 20 February is jam packed with the papers running to over 700 pages. With enough time I suspect I could have identified 50+ questions but with so little time I managed just 21. The agenda has a number of vital reports. Brexit contingency planning could have massive implication for care staff but I don't see evidence of Barnet actively tackling these issues. The budget is also a massive issue with £20 million of cuts as well as a £5.3 million drawdown from reserves next year. Whether the saving will be achievable is another matter and my big concern is that senior managers are signing up to savings that simply aren't deliverable. It looks like there is an £875,000 overspend on streetscene who are responsible for bin collections. We have not been told the true cost of the huge number of additional agency staff and overtime, but this figure seems to suggest the cost is much higher than people were expecting. Critically, I a still not convinced we are getting accurate cost figures. The report publishes the cost of agency staff and suggests the total cost to date is £12.05 million. 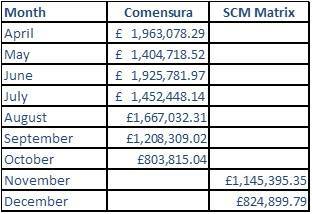 However, I monitor the payments to suppliers which shows that the agency staff cost from the main supplier Matrix (and its predecessor Comensura) is £13.39 million and that doesn't include payments from some other agencies who do not operate through the Matrix contract. I have asked them about this on a number of occasions so this time I have spelled it out for them so they can see clearly where the differences exist. I have set out my questions below - we will have to wait and see if I get any real answers. 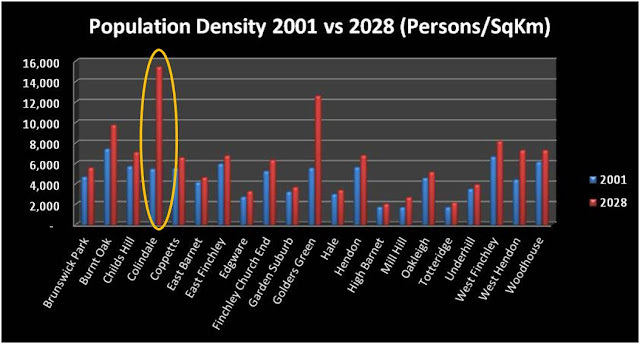 London’s construction sector has an ageing workforce that is heavily reliant on migrant labour. EU nationals make up 30 per cent of the 300,000-strong workforce, while just half are UK-born. Of the UK-born workers in the capital, 38,500 (12 per cent) are set to retire in the next 5-10 years. Yet it is estimated that 60,000 more construction workers are needed in London and the South East in 2017 to keep up with demand. 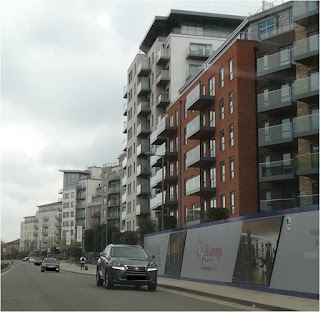 Given that Barnet have budgeted to received £54 million in New Homes Bonus (NHB) over the next 5 years what steps have been taken to understand whether that bonus can be delivered if there are fewer construction workers, whether the NHB estimates should be revised downwards and what are the budget implications if the number of new houses are not delivered? The risk register identifies the issues related to adult social care staff recruitment and retention. However, it does not address explicitly/quantify the financial impact on Barnet if, for example wages rates for carers are forced to increase significantly to attract and retain staff. What studies have Barnet carried out or commissioned to specifically quantify the financial impact of an increase in carer pay rates? 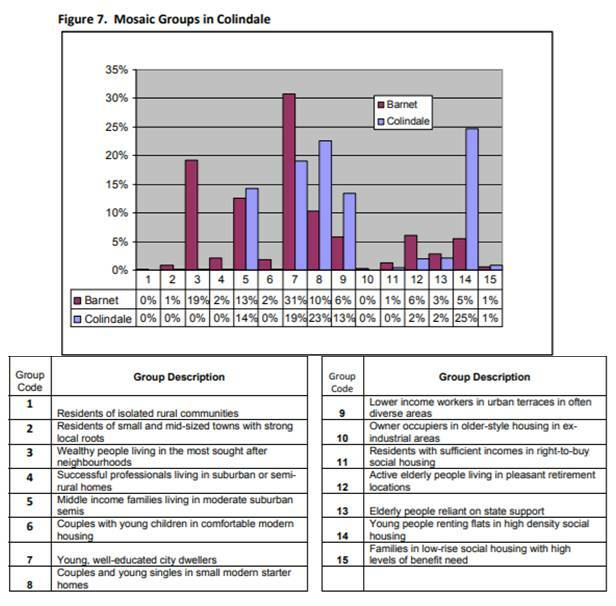 What other measures have Barnet considered to attract and retain care staff? The report notes at 1.5.18 that the Council’s failure to increase council tax in line with inflation means that we will be collecting on average £150 a year less from each household by 2024. 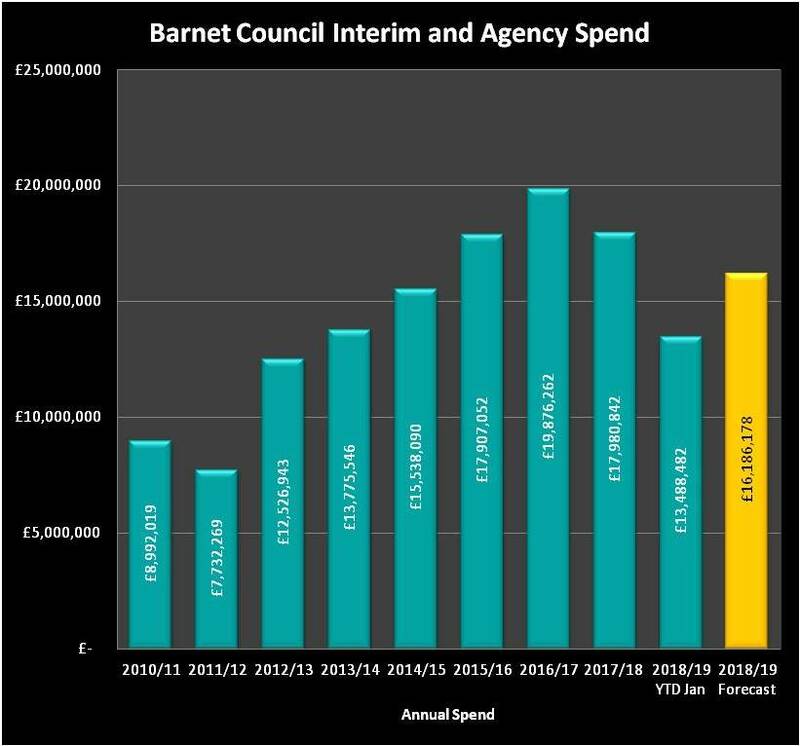 If Barnet had taken a 1.99% increase each year we would now be collecting approximately £20m more next year which closely mirrors the level of cuts to vital services which are budgeted. 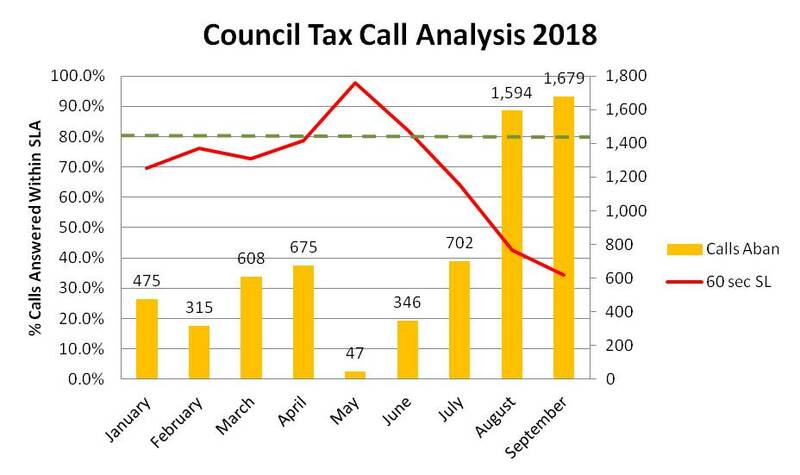 What consideration has been given to try to make up some of this shortfall by increasing council tax by more than 2.99% next year and what were the outcomes of any financial modelling over the next 5 years on that basis, even taking into account the cost of a referendum? Even after budget savings of £19.965 million we still need to draw £5.357 million from reserves. What happens if theme committees are unable to deliver the savings as was the case this year and last year and what cumulative impact will that have for future years in the MTFS? The risk register identifies at STR033 the risk of savings not being delivered and suggests Monthly Budget Monitoring as mitigation. However the Financial Performance and Contracts committee only meets quarterly which means that there may be significant deviations from the budget before Councillors are made aware. 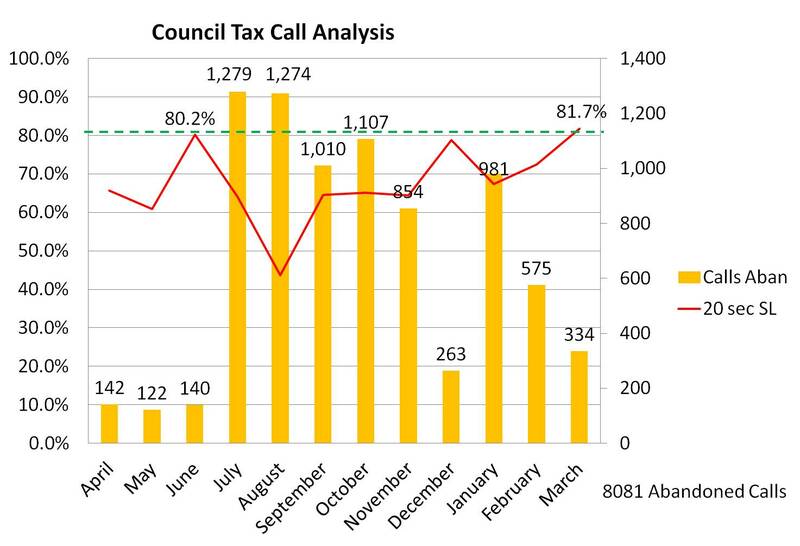 Given that this is such a critical area for the Council what consideration has been given to scheduling a Monthly Budget Monitoring sub-committee with a very specific focus and brief to ensure that there is a much closer scrutiny by Councillors and the public of budget performance? 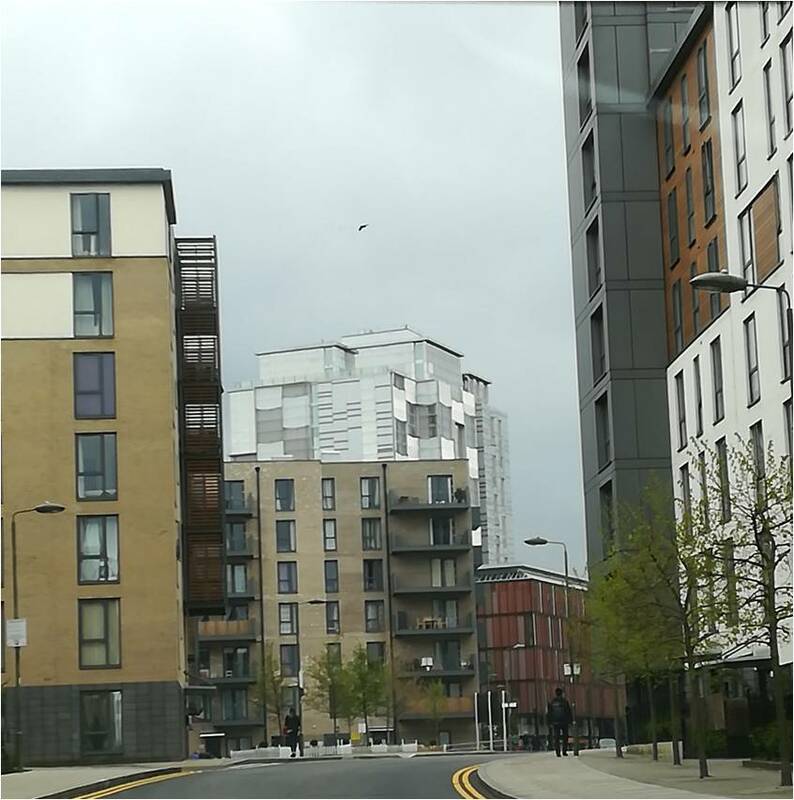 Risk STR022 discusses the risks and liabilities associated with Barnet House. Back in 2014 Barnet paid £62,500 to secure an option to purchase the freehold of Barnet House. Did the option lapse, should it have been extended, and to what extent will additional office space be required, other than Colindale, if more Capita services are brought back in house? STR032 Identifies the issues around the changes to the waste collection routes. Given that there has been no transparency on the costs of agency staff and overtime and a significant number of new refuse vehicles have been purchased to try and overcome the problems what confidence can we have that a residual risk score of 12 is appropriate? STR025 identifies the risks associated with contractual disputes due to underperforming commissioned services and has a risk score of just 6. However the recent performance data identifies that both user satisfaction and commissioner satisfaction with commissioned service is poor and declining. How was this score developed and did it consider the current poor user/commissioner satisfaction scores as part of that assessment? PI022 identifies the risks associated with the company that that controls the street lighting management system Harvard Technology going into administration. Given the company went into administration on 10 December and Grant Thornton have been appointed as the administrator, what further updates are available to clarify the potential financial or operational impact and will this have any impact on the current proposal to upgrade to LED lights? 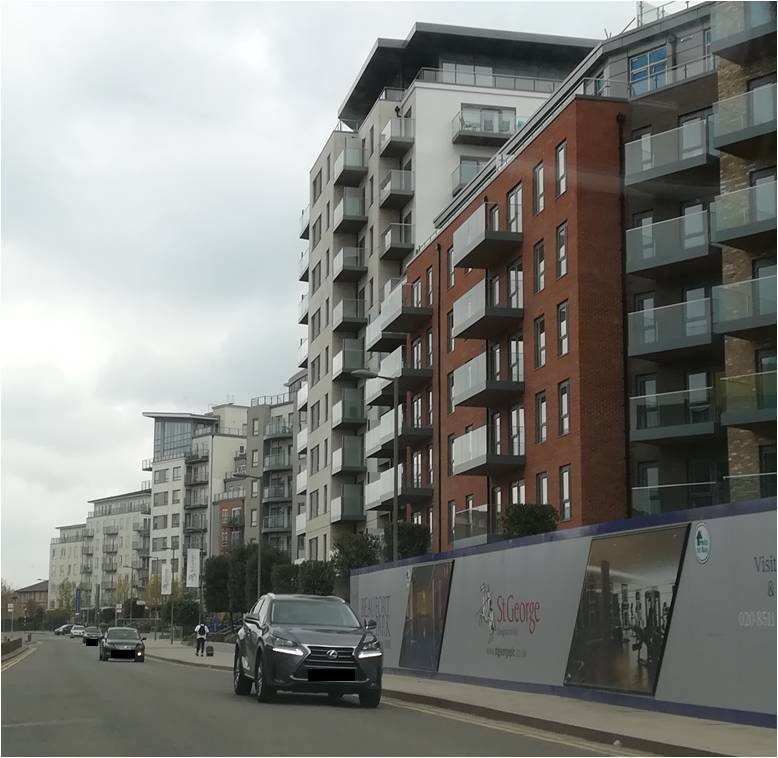 OP27 identifies the risks associated with the affordability of the Thameslink project and in particular the risk that Government may claw back grants leaving Barnet liable for the abortive costs. What is the scale of the abortive cost liabilities and when will a final decision be made as to whether this project will be aborted. At page 4 in the report is states that there is an adverse movement due to £0.340m increase in gain share contractual payments and other areas of Managed Budgets. Can you clarify how Capita can be entitled to contractual gain share costs linked to the increase in anticipated Housing Benefit Overpayment recoupment given that Capita have responsibility for administering Benefits and how that is reconciled with the statement that no further gainshare payments would be made following the £4 m payment from Capita agreed at the Urgency Committee? The £875,000 of additional overspend on streetscene is attributed to the delay in implementation and the changes to the collection rounds. 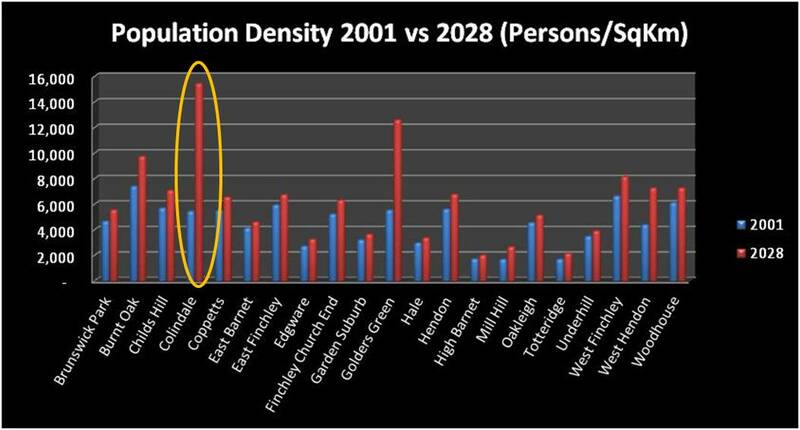 How can we be confident that this is an accurate figure, why has it been allowed to grow so large and what is the forecast carry over into next year’s budget? The HB Law contract continues to be overspent and has done since the contract started. What are the risks that it will be overspent again next year and what specific measures have been put in place to ensure it is delivered on budget? Yet again Table 8c does not reconcile with the figures published on the suppliers payments. Set out below is a comparison between the table and the data published on the Barnet website. Which figures should I believe and why are there such significant difference? 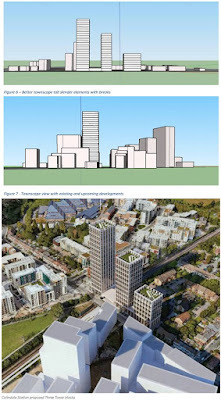 At 1.74 the report notes a dispute with the builder about the final fit-out and costings has the potential to impact on the completion date and office move. 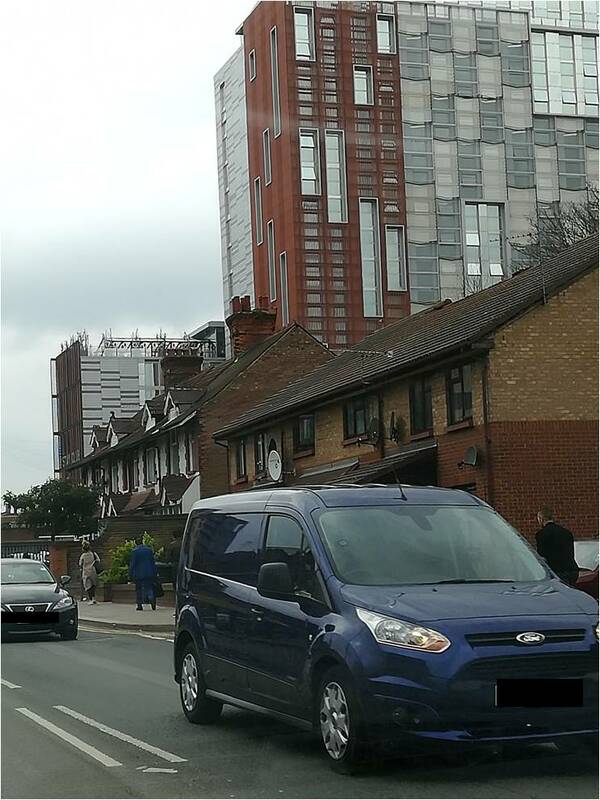 Please can you clarify the cost of this delay and what is the revised date to move staff into Colindale? Why are the Appendices exempt when you have already published details of 146 of the properties in delegated reports. 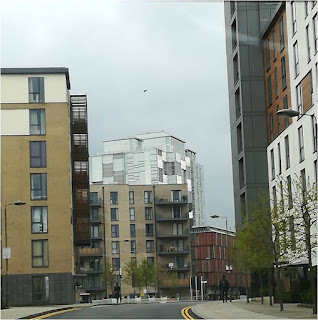 What specifically makes the information unsuitable for publication and who determined that it is not in the public interest to provide details of a massive asset transfer from the Council? TBG Opendoor is forecast to lose £4.247 million over the next 5 years and the business is not forecast to break even until 2034/35. What will be the cumulated losses up to 2034/35 and what risks have been identified that might occur over the next 15 years to influence that break even target date? Appendix B contains a five year business plan summary (excluding TBG Open Door) which shows a forecast profit for the 5 years of £680,000. Last year at this committee the forecast for the same period was a profit of £1,342,000. What has caused the profitability to halve in 12 months and are there any other risks such as those identified in the Brexit Impact Log that could turn TBG into a significant loss making business. 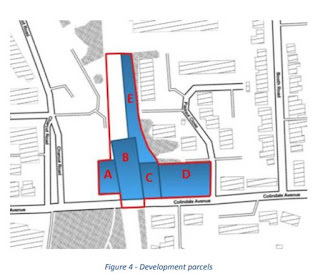 I am concerned to read at 1.10 that the £319.5m grant would be partly repayable by the Council, recognising that a business rate ringfence is currently in place around the shopping centre but that the ISC were not content with the proposal to extend the ringfence, and therefore asked for further work to agree an appropriate repayment model. What is the extent of the grant repayment for which Barnet may become liable, when will the negotiations on an appropriate repayment model be concluded and has ministerial support now been secured? Capita are not performing well in Barnet - But look who is saying that. 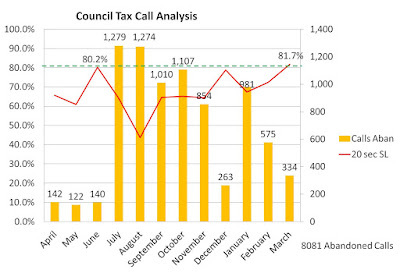 On Monday, Barnet Council published the latest performance data. It is not easy to read or understand and encompasses a range of performance targets. However there were 10 performance targets that caught my eye. These are the User Satisfaction and Commissioner Satisfaction targets. Now these are 'Users' are in fact council users of the IT, HR, Finance, Procurement and Estate services all provided by Capita. The 'Commissioners' are the senior managers within the council who are responsible for commissioning and monitoring the services from Capita. 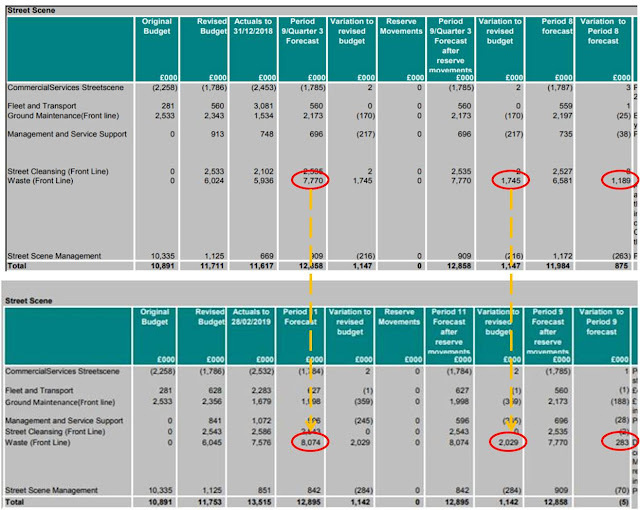 Last year Capita failed to meeting user and commissioner performance targets and were forced to pay Barnet £399,513.29 in what they call service credits, a sort of fine for poor performance. This was in addition to service credits of £67,935 for failing to meet resident KPI's. So this year I was expecting to see a change as promises were made to improve performance. However it didn't come as any great surprise that when I looked at the figures they didn't live up to the promises. As you can see from the table above nine of the ten satisfaction ratings were classified as red, as in failing, and one classified as amber. Compared to last year, seven out of the ten satisfaction ratings are actually worse than last year. This tells me that Capita's performance isn't getting better, it is getting worse. Most alarmingly is the fall in Commissioner Satisfaction on the finance function which has fallen by 31% since last year. Finance is a business critical function - if we don't get good quality, accurate and timely financial information it becomes almost impossible to make clear and informed decisions on how the council is run. I have raised the issue of poor quality financial data on numerous occasions and I think it is still a massive problem. No doubt the fact that the financial function allowed the £2 million fraud to go unnoticed with 62 false transactions which only came to light when the fraudsters bank thought something was amiss and called the council. We also had the financial black hole which didn't come to light until after the elections in May last year. There will be a response to say that Barnet are planning to bring back in house the finance function and HR but some elements of the finance payments will be left with Capita. In addition Estates, IT/IS, and Procurement are going to remain with Capita in the short to medium term and may well stay with Capita for the remaining 4.5 years of the contract (plus a further five years of the contract extension). So next time someone says how well Capita are performing tell them they are not and that the Council's own senior managers are saying that. Barnet's Conservative led administration has never been so divided. Since the local elections last May, new members of the Tory group have been confronted with the legacy of their longer serving colleagues’ failure in office: the crisis over the Capita contracts, a massive budget deficit, and the exposure of fraud by a Capita manager, enabled by a failure to put in place any adequate system of financial controls. 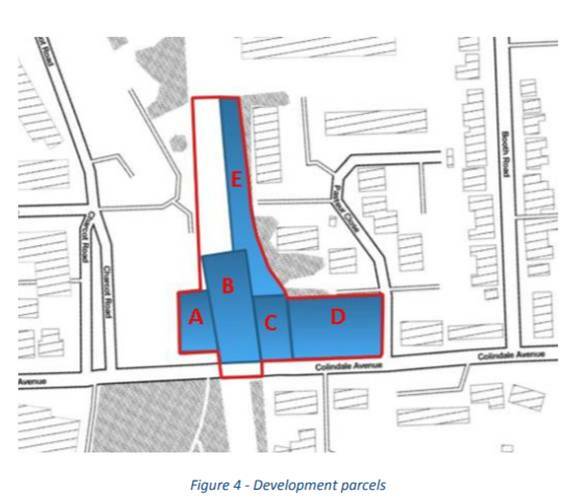 Members of the previous administration appear not to have grasped the seriousness of the situation, or at least are reluctant to acknowledge the extent of the problems facing this borough. After receiving payment of a paltry £4 million from Capita in ‘compensation’, Tory councillors have now voted to delay any immediate severance of ties, in favour of a long drawn out process of assessment, during which time Capita will continue its contractual partnership with this borough, and our services will continue to be left in their control. We believe this is quite wrong, and, it seems, so do some Tory members. At last week's Audit meeting, for example, it was revealed that BDO, the authority's external auditors, are now obliged to visit Capita's offices in Darlington, where their administration of Barnet's Local Government Pension Scheme is based. This extra work will incur an additional charge on top of the audit fee. Capita continue to administer this scheme, despite very serious concerns about standards of performance. Also at last week's Audit meeting, there was discussion about why new systems that should have been implemented following the £2 million fraud by a Capita employee were not in use. Grant Thornton, Internal Audit, Senior Council Officers and Capita’s Partnership Manager in Barnet had all agreed these control systems should be implemented immediately. A Capita employee, however, based in Chichester, where these payments are handled, had taken it upon themselves not to implement this critical system, a failing only identified when Internal Audit carried out a follow up check. At least one of the Tory members had grave misgivings about the continuing partnership with Capita. He added that Capita’s performance was not good enough and that he was not confident that promised dates for completion would be met. At a further point in the audit meeting it was identified that 51% of the internal audit recommendations were not completed, the majority of which were the responsibility of Capita. Labour councillor Alison Moore suggested that such a high level of actions not implemented was a sign of an unhealthy organisation. The Head of Assurance said it was a very serious matter from the officers’ perspective. The Committee Chairman, however, wanted to take a ‘positive’ view of the situation and suggested that we do not look at criticisms. There was a clear consensus, however, that Councillors, both Conservative and Labour, were not satisfied. At last there is an acknowledgement, at least from councillors who were not involved with the original outsourcing exercise, that the partnership with Capita may not be the great panacea we were promised, under the lure of ‘Better services for less money’. We are facing a review of the contract in February, yet there is a very real concern that decisions have already been made. The dispersed structure of the contract, with Capita offices situated all around the country, makes it hard to implement change, hard to control, and hard to monitor. Different reporting lines in different organisations mean that it is difficult to pin down responsibility for actions or inaction. This exacerbates and complicates the failure in accountability between the management of local services, and the local community itself. We call upon the council to make the outsourcing review as open and unbiased as possible, held in public, with full and meaningful consultation with residents - and with key roles for some of the new Conservative members such as Cllr Jajeh, and Cllr Prager, who seem to have a more clear sighted view of Capita’s performance - and we urge all members to look at how quickly services can be brought back to Barnet, where they can be properly managed, monitored and controlled. 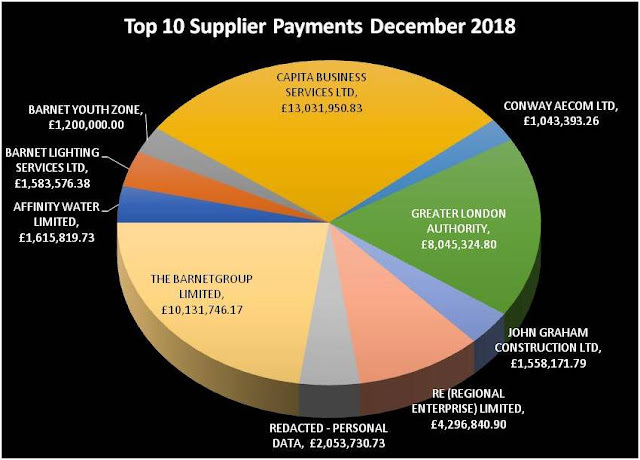 Supplier payments have been published and in December there were two massive payments to Capita. On the CSG contract Capita received £13 million and on the Re contract £4.3 million. These are massive payments which seem to make the £4.1 million Capita have agreed to refund seem somewhat paltry. It also concerns me that there is no transparency whatsoever on how the £4.1 million settlement figure was calculated. Set out below is the running tab on the two Capita contracts which makes you realise just how much this contract is costing us. And don't forget, you can still comment on the Council's proposal to bring some or all of Capita services back in house. The consultation ends on 15th February so make sure you submit your comments to Barnet Council here. I didn't report the supplier payment figures last month as I had significant concerns about the agency costs. These concerns remain. 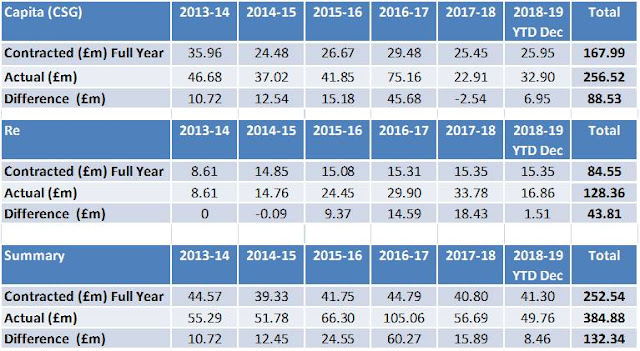 Set out below is an analysis of the agency costs as declared in supplier payments for this financial year. b) not all the figures have been declared since the new contract started in October. We will have to wait and see what is the right answer. 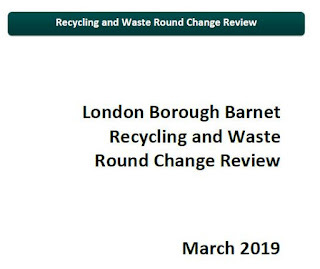 Given that there was a significant use of agency staff on the refuse service following the changes made to the collection rounds I wonder if they are included in these figures or if they are using another agency which so far hasn't shown up. £538,745.70 to JLT Speciality, an insurance broker. Given the council insurer is Zurich Municipal (to whom we paid £504,237.21 in December) it makes me wonder why we paid so much to JLT. £828,155.00 to S&B Commercials who sell large commercial vehicles. 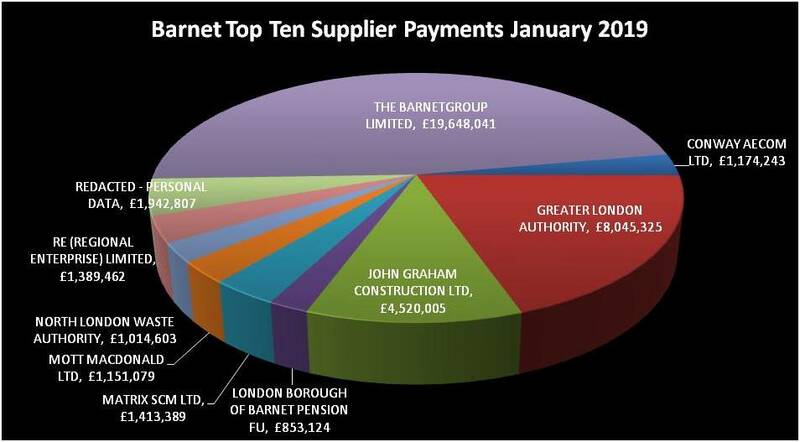 I wonder if this is where Barnet bought their new bin lorries and who authorised such a large payment. £99,424.50 to Capacitygrid. That may not seem like a huge amount but the services they seem to offer appear to be the same as those we pay Capita to provide. My question would be, are we paying twice for some services? Set out below is a summary of the top ten supplier payments. I will as always continue to monitor the Council's spending. Move forward three years and Barnet are now considering whether to bring certain services back in house following the massive fraud and the damning Grant Thornton report on Capita's performance. Performance data hasn't been published for nine month but just before Christmas a series of performance files appeared on the council website detailing the performance from January to September 2018. I have charted the data below but there is a subtle difference in that the SLA target for answering calls has been raised from 20 seconds to 60 seconds so that should help Capita to meet their target. However the evidence doesn't back that up. 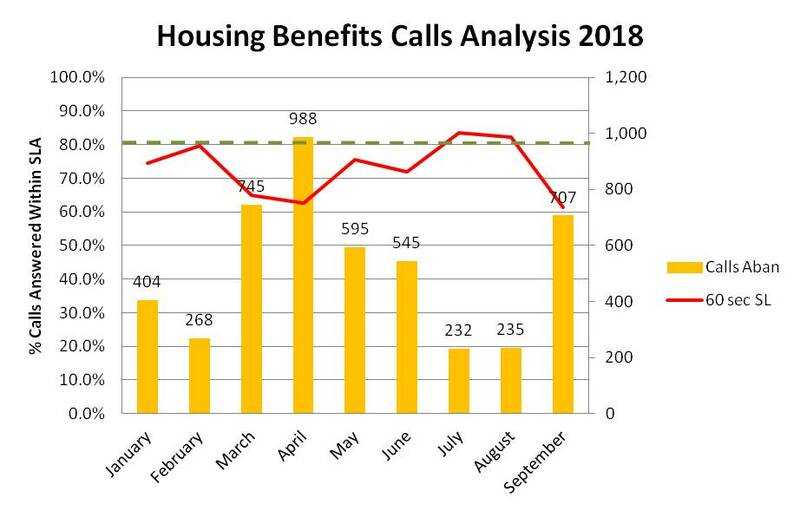 Housing benefit calls didn't fare much better with the SLA only being met in two months (July & August) and with a total of 4,719 calls abandoned over the period. 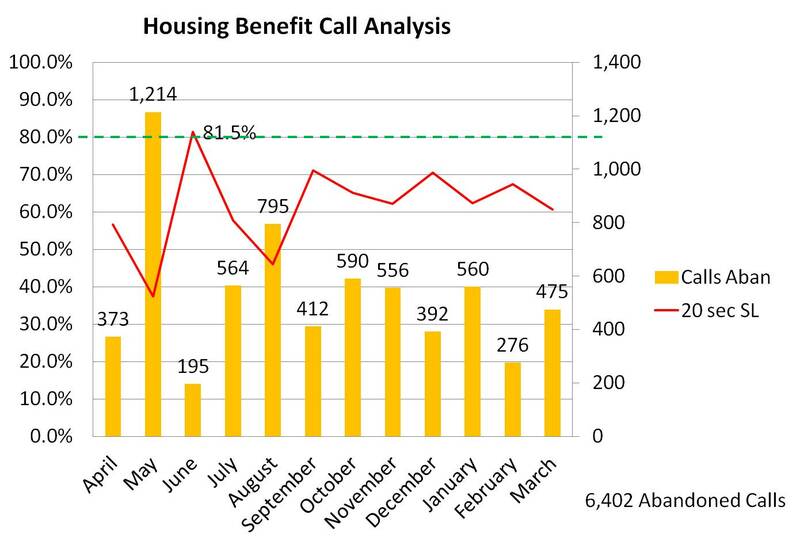 Now I can imaging that if you are calling about housing benefits, it is a really important matter to you. Making people wait so long is simply unacceptable in these circumstances. 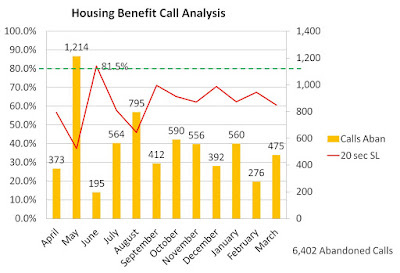 The data also identifies the maximum call wait times of over 37 minutes in two months. It would be good to hope that this data would be considered when the Council is deciding which services to bring back in house but I know from experience that this will be a purely political decision irrespective of the evidence. Capita seem able to consistently under perform but get away with it as long as they promise to do better. They have been in place for five years now and it isn't getting better. How much longer do we have to wait until we get a decent service?